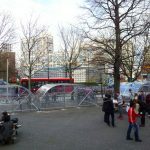 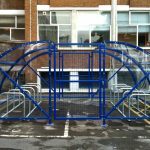 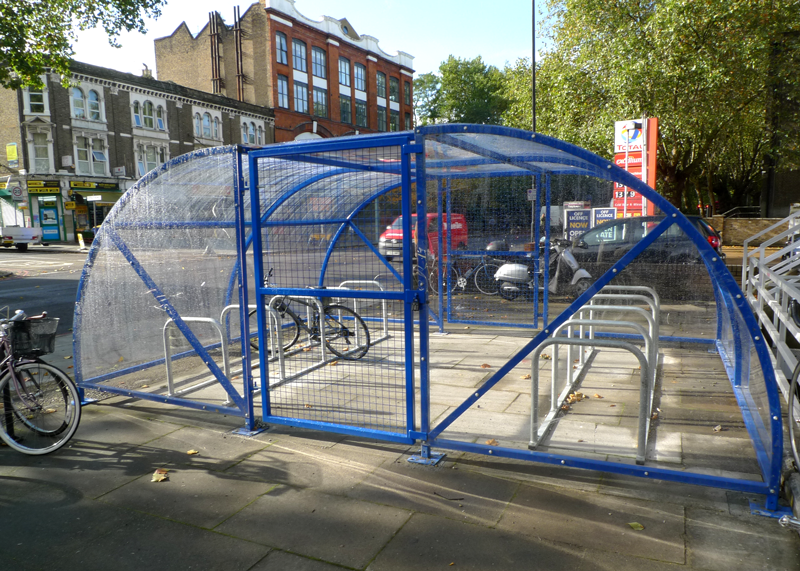 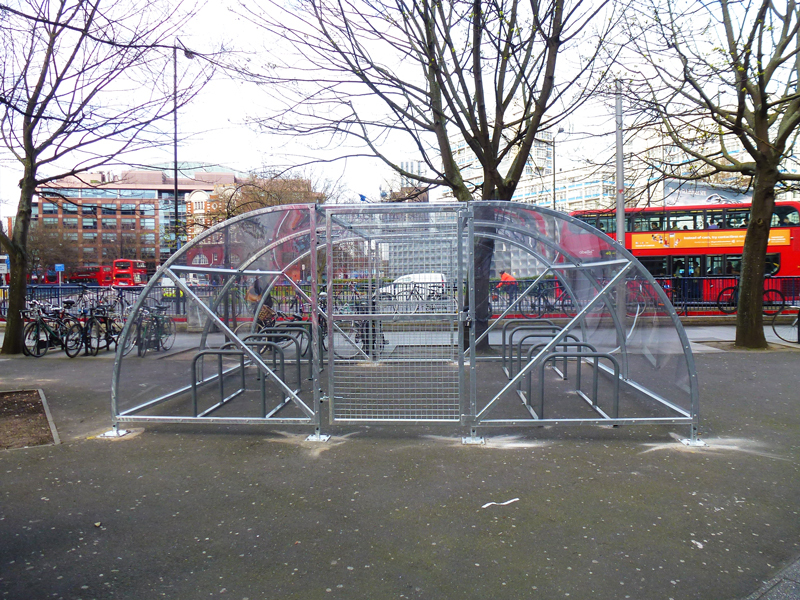 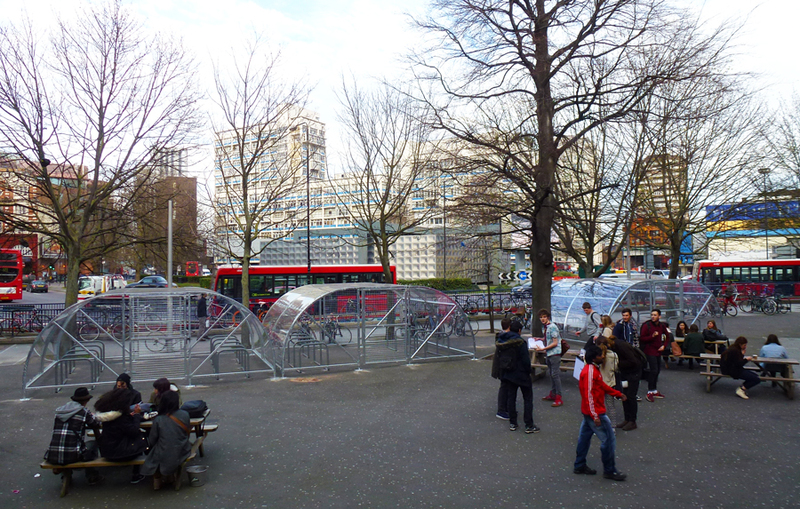 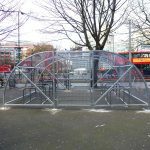 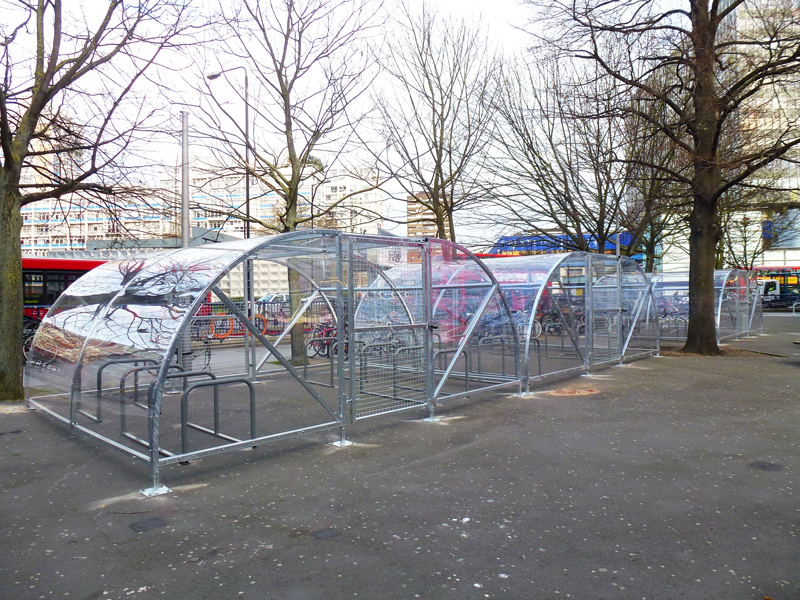 Our secure Cycle Compounds provides great security for bicycles, whilst sheltering them from rain and wind. 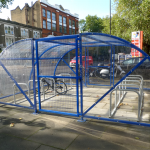 The robust steel construction is reinforced with an anti-vandal clear PETG UV resistant roof and side panels with the addition of mesh swing gates fitted. 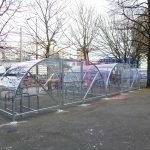 These large shelters are custom made to fit any specification and its modular design allows for multiple configurations. 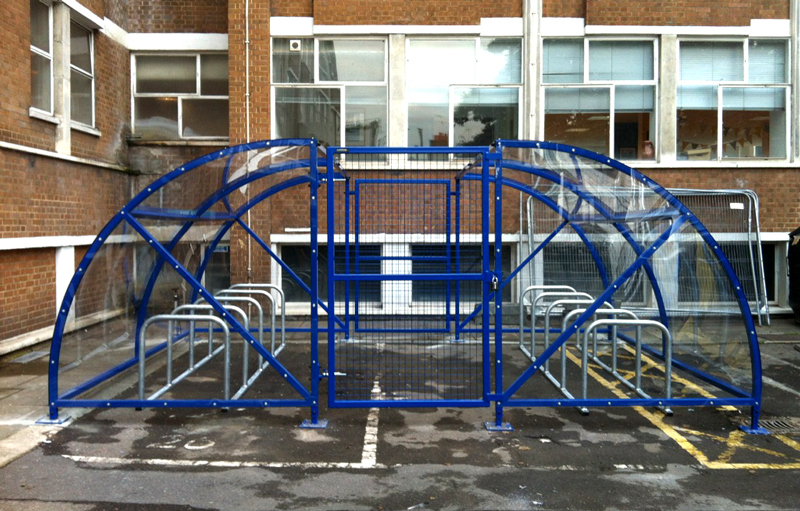 Please contact us for details on our range of sizes.